I must fully apply those blessings to serving our God as He directs, and live every day grateful that I can. I am overwhelmingly thankful for the opportunity I had to go to Mexico and work with the brethren there. Thank you so much to all who supported financially, physically, and through prayers. The brethren taught me so much! I learned fun things: how to hang clothes on a line with clothes pins, how to eat icaco (a fruit) and guaya (a fruit), how to eat pozol (a hominy and cacao drink served cold) with curtido de nance (another fruit preserved in sugar) and papaya pequeña (a small papaya variety), how to ride a zipline, etc. I learned important things: what hospitality looks like in the truest sense of the word, how to give of yourself without reserve, how youth can interact across age barriers with no apparent distinction, and gratitude for others’ patience when I accidentally stepped on cultural expectations. I saw so many challenges that our brethren face day-to-day as they work to walk closer to God, as they try simply to get to church, and wondered if I have the strength that they have already demonstrated. It is inspiring. It is also very humbling. They kept thanking me for coming, thanking me for eating with them, thanking me for staying in their homes. I hope and pray that I have been a blessing to each and every one, and that somehow I can continue to be so. The blessing to me has been immeasurable. Living here in the United States, we often take for granted things that are much more challenging in other places. Here in the US there are people who are poor. There are people who end up homeless, who end up hungry, but it would be hard for a child to starve here, so long as they are close to a town or city of any size. There are supports provided by both the government and other private groups. There, in Mexico, that is much less true. Additionally, most people here have access to personal transportation, at least most of the time, and within the church we also have (or should have) brethren we can call on in times of true need. In Mexico, that is much less true. Even bringing together all the cars owned by members of the congregation, there would still not be room to transport everyone. Perhaps what we most take for granted is our ability to travel any distance. As Americans, we can go to the post office, get a passport, and travel to most of the world with little difficulty. Some places do require a visa, and there are also a few places where Americans are decidedly unwelcome. It is not like that for our brethren in many other places, especially if the country is poor overall. Even getting a tourist visa is generally quite difficult except for a few special cases. As Mr. Kubik recently related, the church is working to make it possible for ABC students to be able to get a student visa, but right now most youth from many other countries simply can’t come. The difficulty in getting visa isn’t limited to coming to the United States, often it is difficult to visit any country. 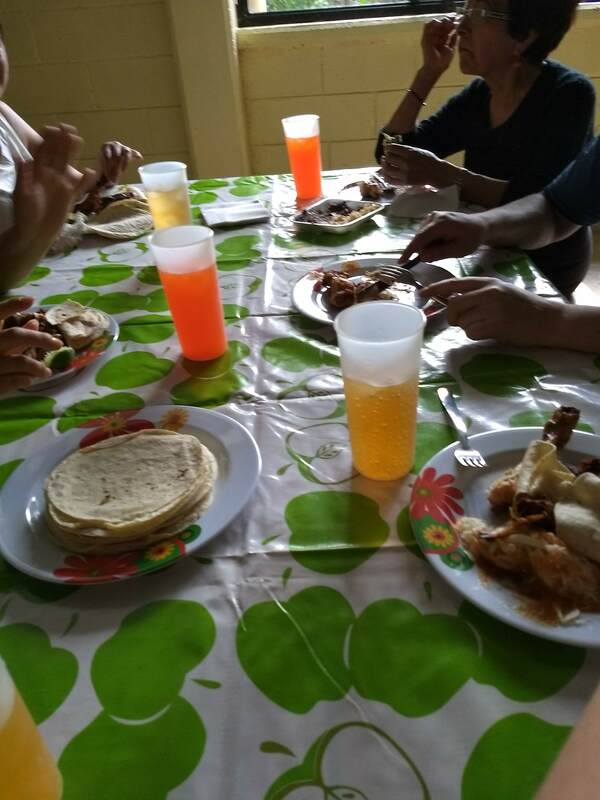 For example, for camp this year, there was a youth from Bolivia that was not granted a visa to come to Mexico. There are only three youth in total in Bolivia. And one was not able to come to camp. The two that did come, don’t know if they will ever be able to come back. Bureaucratically, it seems unlikely. Another lesson for me came after a day working with ladies with different physical and mental challenges; one of the men of the group reflected that it made him really think about the blessings he had, in physical and mental health, and that he should take advantage of them, now. Above all else, I think that determination is what I take away from this experience. I currently live and have citizenship in a place that is still overflowing with physical blessings and grants me many freedoms. I also have my strength, my mind, and most importantly, God’s spirit. I must fully apply those blessings to serving our God as He directs, and live every day grateful that I can. Rachel lives in Salem, Oregon where she attends the local congregation. She is a mom of two practically grown children and a teacher at a public elementary school in a town just south of Salem. She loves teaching because she loves to share in the joy of learning, especially about God, His way, and His creation. Rachel sees that God has been directing her paths with purpose, and is eagerly looking forward to see what is next.